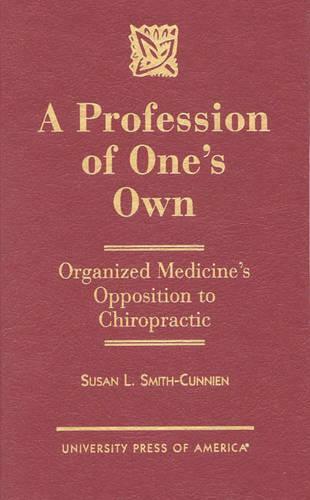 This book documents organized medicine's communications to its members about chiropractic, demonstrating how by fighting chiropractic, organized medicine was serving itself and the profession: focusing on unity in the face of factionalism, demonstrating its superiority in the face of a doubting public, and developing and maintaining its dominance in the face of bureaucratic and legislative challenges to that dominance. Much has been written about how medicine's opposition to chiropractic spurred that profession to fight for its survival. This book shows how medicine's opposition to chiropractic was just as important for the development of medicine.